An International Monetary Fund (IMF) delegation will arrive to Egypt Sunday to discuss the "broad lines" of a $3.2 billion financial package for Egypt, Fayza Abul-Naga, minister of international cooperation, was reported as saying by Al-Ahram's Arabic portal Saturday. Abul-Naga added that the delegation will meet with ministers from the Cabinet's economic group, along with parliamentary and party leaders during its five-day visit. The IMF said last week it would visit Egypt later in March to discuss a lending programme after Egyptian authorities recently submitted economic plans to the global lender. Egypt has requested a $3.2 billion loan to help plug a widening budget and balance of payments deficit. Egypt rejected IMF assistance in June 2011 citing concerns about national sovereignty, but negotiations with the fund resumed by the end of last year as economic indicators worsened. 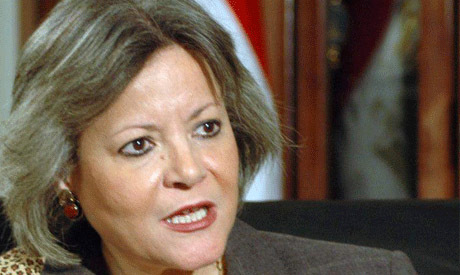 Egyptian Finance Minister Mumtaz El-Saeed was quoted on 19 February as saying that the IMF loan would support the 2012/13 budget and compensate for the depletion of Egypt's foreign reserves. Foreign reserves dropped to $15.7 billion by the end of February 2012, less than half their value year-on-year from December 2010.